Shop.ca says it will offer drone delivery throughout Canada. 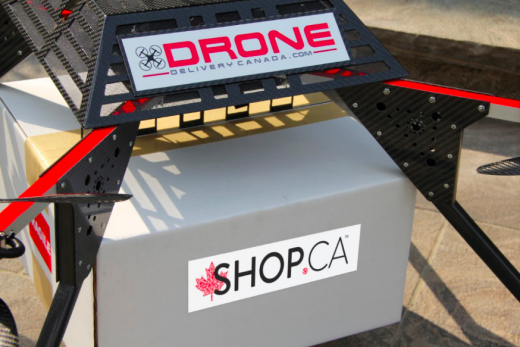 Online shopping site Shop.ca says it has partnered with Drone Delivery Canada to pioneer small package delivery by drone in Canada. The devil, of course, is in the details. Government approval for widespread drone delivery, particularly seems far away at this point given the technological, privacy, and safety concerns that such an operation raises. Possibly the biggest step will be the approval of beyond line-of-sight operations for drones. Amazon is also investigating drone delivery and is testing its system in B.C. because of the generally more permissive environment in Canada.